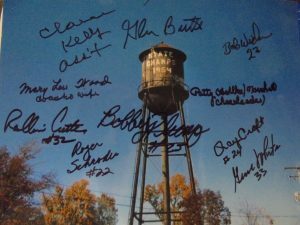 This photo is of the old Milan water tower that was since repainted in 2017. 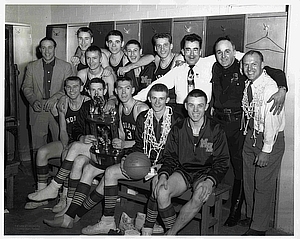 The original lettering was done in 1954 after the Milan boy’s basketball team won the State Championship in 1954. 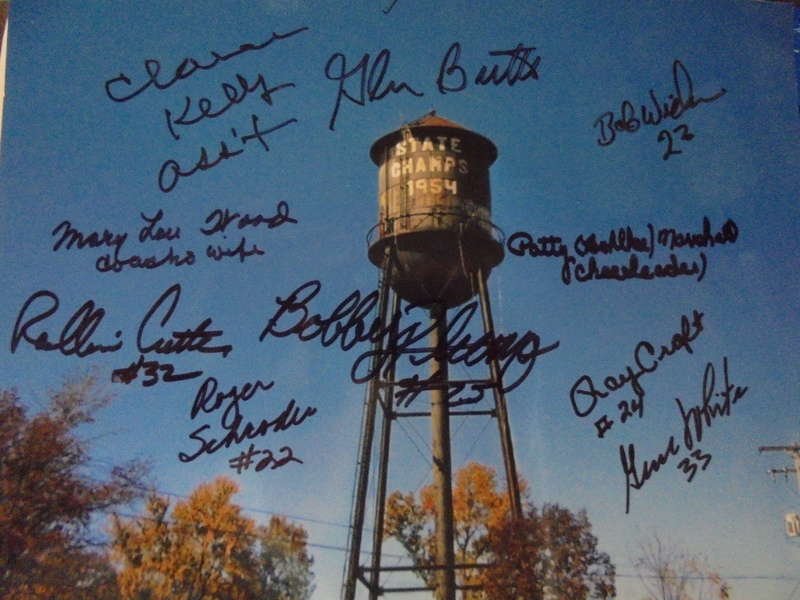 The 8×10 photo has original signatures of members of the 1954 team.